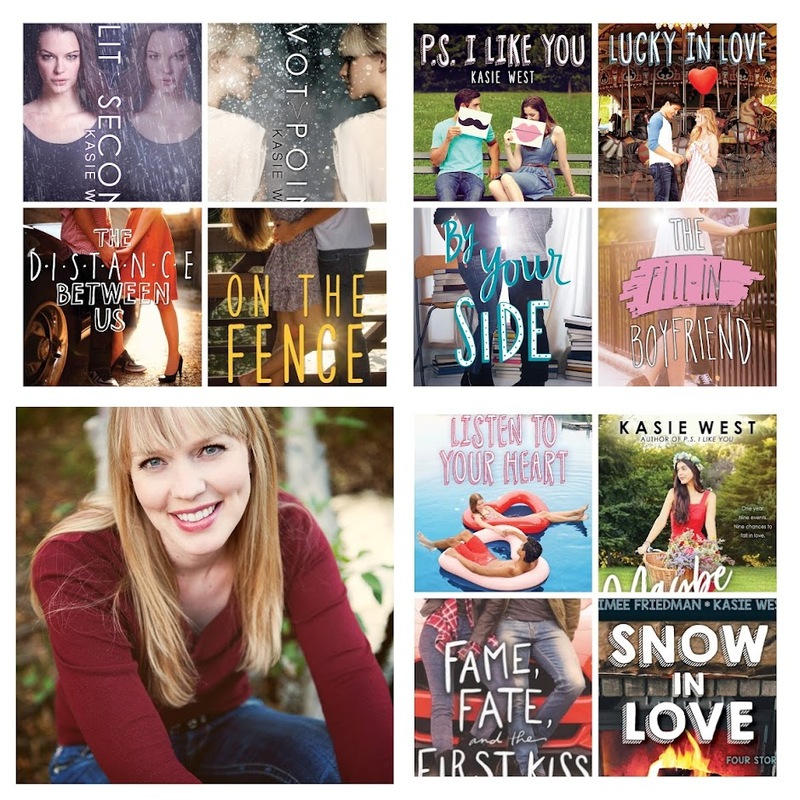 Kasie West: Author Interview/Give Away! I have the pleasure today to introduce you to one of my favorite people/authors: Linda Cassidy Lewis. I met Linda a couple years ago at my very first writer’s group ever. After attending the group a few weeks and having a chance to read through the submissions, I remember telling my friend, Candi, on the phone one night, “Linda intimidates me. Her writing is so good.” I still feel the same way. She has a way of stringing together words so gracefully that I often read and reread whole paragraphs because I love them so much. And this book is no different. Not only the words, but the story, captivated me. Back of book blurb: "Jalal Vaziri has looks, money, women—and a habit of running from reality. When he abandons New York and reinvents himself as a poet in a California beach house, he thinks he’s running from a father who hates him, a career mistake, and endless partying. A fresh start is what he needs. And after an intriguing woman enters his life, he believes all his dreams are coming true. But that dream dissolves into nightmare, and Jalal flees again. Only this time, his retreat is blocked by a woman who challenges him to face that it’s himself he’s trying to outrun." L: From childhood, of course, but as an adult, I wrote a novel almost twelve years ago and briefly considered seeking publication, but real life intervened. 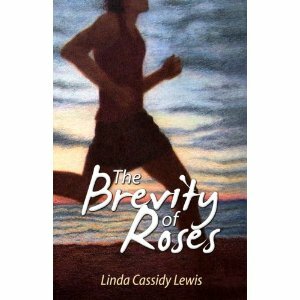 Then, almost exactly three years ago, I wrote a short story that eventually grew into my novel The Brevity of Roses. How did you come up with the idea for Brevity? L: I had a dream about a young man who was genuinely more attracted to an older woman than one his age. He was such a strong personality, and his motivation intrigued me both in the dream and for days afterward. I told a friend about the dream and she suggested I explore it in story form. Obviously, the inspiration outgrew the short form. K: Ah, the whole “dream” scenario. I obviously need to get better at dreaming. I know you painted the cover (which is gorgeous), how come you hogged all the talent in life and left me with none? No, but seriously, how long have you been painting? Do you love it as much as writing? L: I’ll ignore the ridiculous statement that you have no talent and just say thank you, I’m glad you like it. I discovered very early that I could capture a good likeness of faces, and, since my teens, I’ve concentrated on portraiture. The photo-realistic technique I adapted, both in graphite and Prismacolor, is so multi-layered it’s considered painting. But to me, it’s more about precision than creation, so no I don’t prefer it to writing. Fiction writing is how I truly express my creative side. Aside from writing/painting, what is your favorite thing to do? L: Hmmm. This is the hardest question you’ve asked. Since I’ve started writing for publication, I don’t really do anything else. Time spent with my family is my only other real priority. I grow roses, bake bread, and hope to get back to a little beading this summer. L: Don’t listen to writing advice. Seriously, after you have a working knowledge of grammar and story construction. Close your ears and just write, write, write. That’s really the only way to develop your unique voice. What do you spend the most time in, PJs or Jeans (Or the very fashionable alternative: Pajama jeans)? L: Those Pajama Jeans commercials crack me up. I’ll confess, some days I stay in my pjs so late in the day it no longer seems worth getting dressed. K: I have a confession, too. I actually want a pair of pajama jeans. For reals. Because then when I leave the house at 2pm when the school nurse calls (or something) and have to show up to school in sweats, at least some people will be fooled into thinking I’m wearing jeans. L: A food: potato chips and yellow mustard. An activity: I often stay up until midnight just to watch “Friends” re-runs. K: Love “Friends”. Thank you so much, Linda, for putting up with some ridiculous questions and for writing such an awesome book. Now, readers, you have an opportunity to win a signed copy of this lovely book! 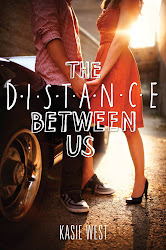 (I know a lot of my readers buy for teenagers, so just a little disclaimer: this is not a YA book. There is a sprinkling of language and adult subjects.) For a chance to win, just leave a comment. Tweet about the contest for an additional entry. Good luck! And happy reading. I also agree with Linda, you can't listen to too much writing advice. Once I stopped listening to others and started listening to myself I started writing so much better and so much more. I like my writing more now. Did I read potato chips and yellow mustard? Together? As like chips and dip? If you say yes then I'm running out to buy some. Maybe that's your secret to all your left AND right brain super powers. Congrats again, Linda. And fun interview, Kasie. I'll tweet this but don't put me down to win the book. I plan to buy it. I agree, it does sound like she hogged all the talent. And I loved her advice on not listening to advice and just write. Linda: Your name sounds familiar. ;-) Thank you and good luck. Heather: Thank you for the retweet and the good wishes. Good luck winning. Candice: It's always nice to share. :-) Thank you for the kind words and good luck. Patti: I didn't hog anything. I've just been alive a lot longer than you youngins. More years = more things you learn to do. ;-) Thank you and good luck. Oh my gosh! Linda, I knew that there was some kinship between us besides writing and roses, but who knew it would be a love for potato chips and yellow mustard. I love them, oh and french fries and yellow mustard, too. Best of luck with your new role as published author. I have to admit, I've recently "discovered" Linda through the magic of Wordpress and I've gotta tell ya - as a writer, I'm already grateful. I love the first chapter of Brevity. I enjoy the style and have already mentally referred back to the way it feels (and made ME feel) as I craft my first novel. Best of luck to you ~ I'll be reading. I love these kinds of interviews because even though I've been following Linda's blog and publication process for a while, I got to learn something new about her. Potato chips and yellow mustard? Plus, I got to discover Kasie's blog, which is a new one for me! The book sounds interesting! And I like the part about the writing advice - there was a point last year when I was trying to take in too much writing advice and I got so overwhelmed that my creativity just shut down. T.A. : LOL what a weird third connection! Thank you and I wish you luck in the giveaway. Catherine: How nice of you to say. :-) Good luck in the giveaway. Nancy: Did I damage my author rep by revealing the weird snack? :-) I'm glad you discovered Kasie, she's the best. Heidi: I feel your pain. That's when I decided enough was enough on the writing advice. Good luck winning the book. I love that Linda has taken charge of hosting. She knows that I'm really bad at responding. I should have her host more often. :) I will be visiting all your blogs, though. Thanks for stopping by. I'm just a blabbermouth, Kasie. Like Nancy, I also enjoy the author interviews because even though I've known Linda through her blog for nearly 2 years, I learned something new. I didn't know a dream was the seed of your novel, how intriguing. What an interesting interview. It is fascinating how book ideas come into someones life. Cathryn: And I didn't know you didn't know that. :-) Good luck in the contest. Duke: Thank you, I'm glad you found it entertaining. Good luck in the contest. I would love to get a copy of this book!!!! It looks awesome and the cover makes me want to go out for a run! Great interview!!!!! I love dreams that inspire us to write. I look forward to reading your book! I would love to read this book. And thanks for the writing advice, Linda. One of the most important things to remember, I think. To have so many facets of creativity in the palms of your hands -- wow! I love that your novel stemmed from a dream, love the cover, and I can't wait to read the book. Thanks for the interview, Kasie! Kimberly: Thank you and I wish you luck winning the contest. Christin: I love dreams for many reasons. Good luck in the contest. Jeigh: You're welcome. Good luck. Christi: Thank you. I'm awaiting your verdict. :-) Good luck winning. Monica: Wow, thank you. :-) Good luck. Great interview! I would love to meet both of you. Your book sounds amazing Linda. I hope I win. Loved reading more about you here, Linda. Thanks for the great interview, Kasie! I just adore Linda! And I can't wait to read her book! Darlene: Thank you. I hope you get the chance to meet Kasie someday. Just assume I'm as charming as she is. ;-) I hope you win too. Amanda: Thank you for taking time to read the interview and I'm glad you don't regret those lost minutes. :-) Good luck in the contest. Michelle: Now, you're just embarrassing me. :-) Good luck winning. Ruth: I don't mind the compliment of your jealousy. :-) Good luck winning the book. I just tweeted about your contest. I too discovered Linda when she was recently freshly pressed and I love her writing style. Can't wait to read the book. Thank you for doing this! Linda, both your writing style and painting/drawing style are beautiful. I hope to read your novel soon. Congratulations, again! Monica: Thank you. I hope you like my fiction style as well. Good luck in the contest. Ann: Thank you. I hope you get a chance to read it soon too. Good luck. 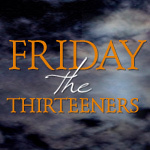 Jenn: Not too late, and I just saw your comment at Candi's blog, so you've doubled your chances. :-) Good luck. Funny thing about Friends, my husband used to complain about that "stupid show," but the other night he said, "What's this episode? They aren't going to show what happened after he said the wrong name at the altar?"